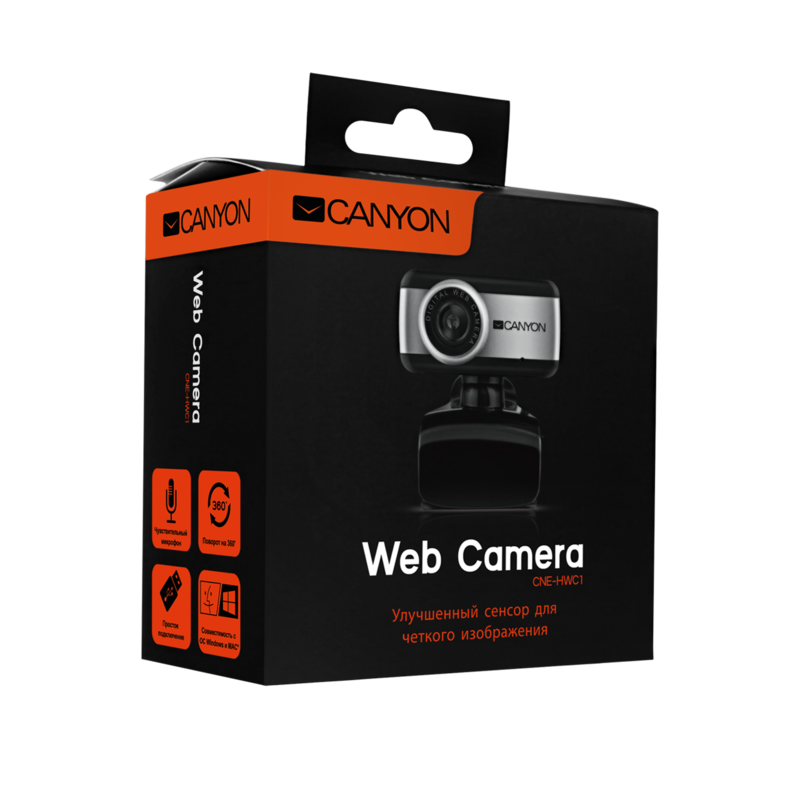 Canyon CNE-HWC1 webcam is equipped with a universal mount, which allows you to set it on LCD monitors and television sets. 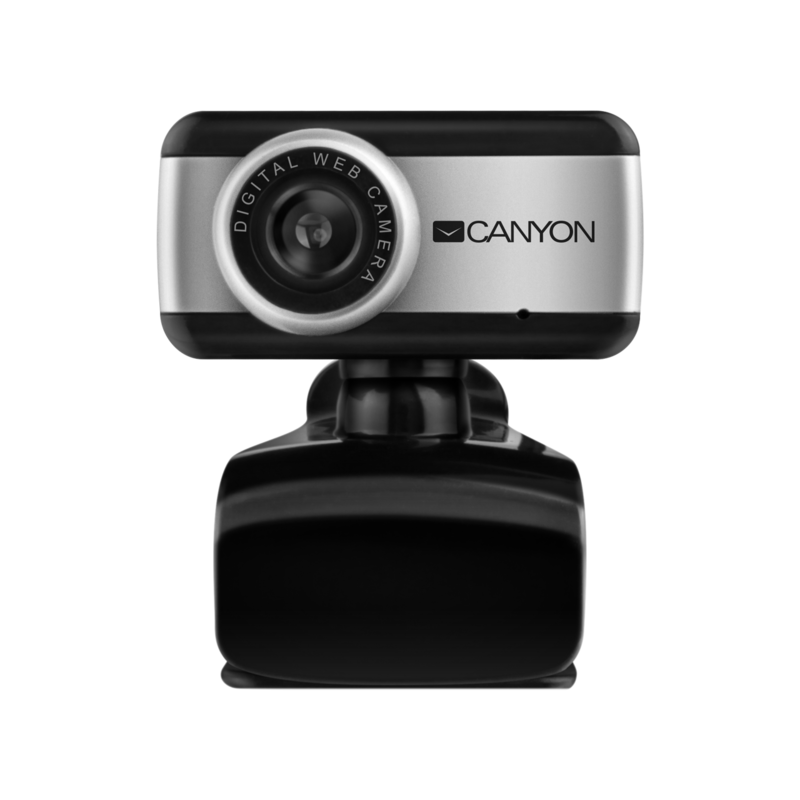 In addition, the device can be placed on a table or other piece of furniture, using the standard mounting as a stand. 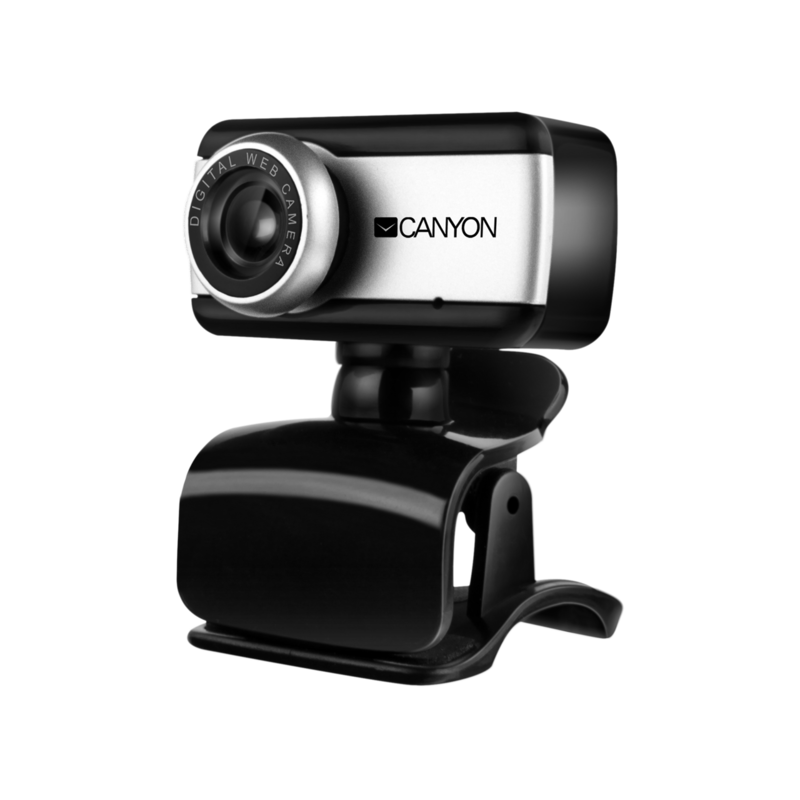 The webcam is equipped with an integrated microphone, ensures the video resolution 640×480 (30fps), image resolution up to 1600×1200 pixels and supports USB 2.0 high-speed interface as well as old USB 1.0 interface.